Statistics New Zealand defines urban areas of New Zealand for statistical purposes (they have no administrative or legal basis). The urban areas comprise cities, towns and other conurbations (an aggregation of urban settlements) of a thousand people or more. 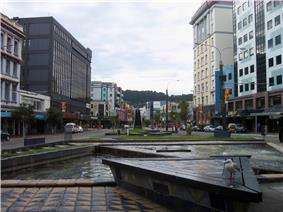 In combination, the urban areas of the country constitute New Zealand's urban population. At the 2001 census, the urban population made up 86% of New Zealand's total population. Main urban areas, with a population of 30,000 or more. These 17 areas mostly correspond to the places known by New Zealanders as cities. Secondary urban areas are the 14 urban areas with a population of 10,000 to 30,000. Minor urban areas make up the remainder of the urban population of the country, towns with 1,000 to 10,000 people. There are 103 minor urban areas. Statistics New Zealand also defines rural centres with a population of 300 to 999 people. While these do not fit the standard international definition of an urban population, they serve to distinguish between true rural dwellers and those in rural settlements or towns. The current placement of urban areas into the three classes is based on populations at the 2013 census, and does not reflect population changes since then. Placements are revised after every census. The population figures shown are Statistics New Zealand's resident population estimates at the June 2015 estimate. 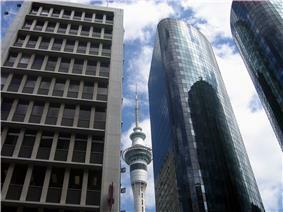 For rankings in various criteria see the ranked list of New Zealand urban areas. Four main urban areas are subdivided into urban zones. The following cities are listed by location from north to south. Whangarei (55,400): from Hikurangi to Portland. The population figures shown are Statistics New Zealand's resident population estimates at the June 2015 estimate. The following towns are listed by location from north to south. Pukekohe (29,000): From Paerata to Tuakau. Excludes Bombay. Whakatane (19,300): From Coastlands to Ōhope Beach and south to Poroporo. Tokoroa (13,600): From Tokoroa to Kinleith. Taupo (23,700): From Wairakei to Taupo Airport. Hawera (11,750): From Normanby to Mokoia. Feilding (15,950): From Halcombe to Aorangi. Levin (20,300): From Waitarere Beach to Ohau. Masterton (21,000): From Opaki to Waingawa. Greymouth (9,850): From Runanga to Southbeach and Camerons. Ashburton (19,600): From Fairton to Winslow and Argyle Park. Timaru (28,500): From Washdyke to Scarborough and west to Gleniti. Oamaru (13,750): From Pukeuri to Weston and Holmes Hill. ^ a b c d "Urban area: Definition". Statistics New Zealand. Retrieved 10 December 2014. ^ a b "Defining urban and rural New Zealand". Statistics New Zealand. Retrieved 28 December 2012. ^ a b "Subnational Population Estimates: At 30 June 2015 (provisional)".